Fairwood Farm, Dilton Marsh, R.S.D. We all have them somewhere in our family tree. You know, that person who has a really common name? And we all know the pain of searching for records that go with that person. So it was with my 3x great-grandfather, John Mason, who was born in Westbury, Wiltshire, England. I was successful in tracking him through all the censuses—1841 through 1881—and from there I lost track of him. Either he had died between 1881 and 1891, or he had moved. 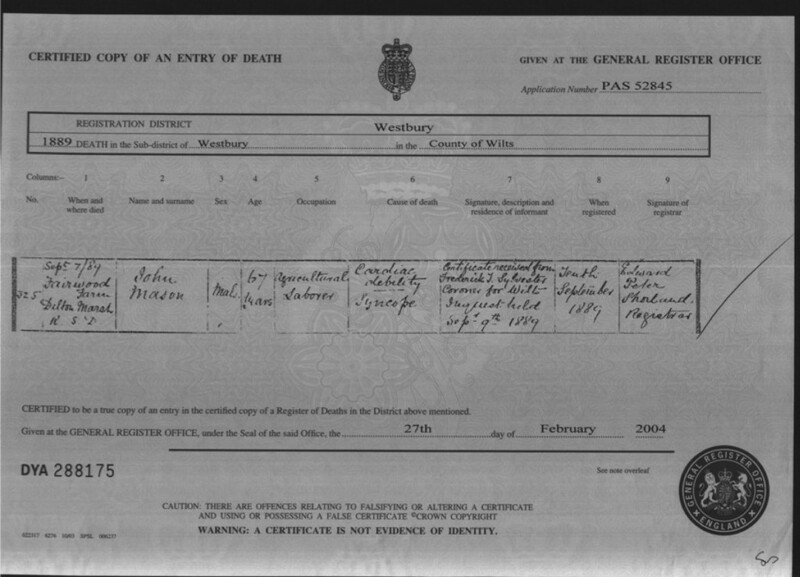 1889 death certificate for John Mason, aged 67. The age at death was within 2 years of how old he would have been in 1889. Okay. Unfortunately, the location of “Fairwood Farm, Dilton Marsh R.S.D. 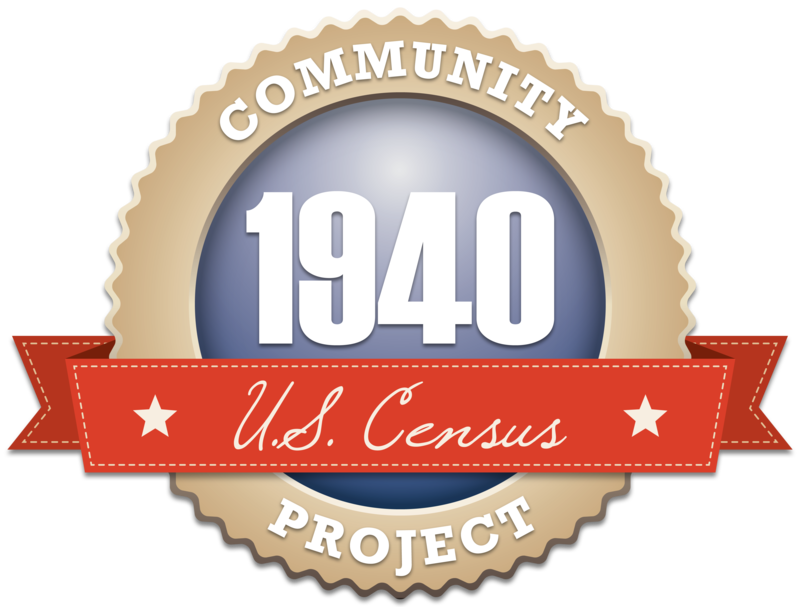 (Rural Sanitary District)” did not match up with any address I had for my John Mason, nor did the occupation of agricultural labourer. Dilton Marsh was a familiar location as I had other Mason ancestors from there. But in the 1881 census, John was a coal merchant, living in Berkley, Somerset. The certificate was signed by the coroner, and also gave the date of the inquest. So this John Mason had died under unusual circumstances—perhaps a murder, or simply an unattended death. Coroner’s records are not easy to find, but usually a newspaper will carry a story if it was worth noting. I was stuck, and put the death certificate in my “questionable” files. And there it remained from 2004, when I got it, until last month. Ten years. Thanks to the British newspapers now online through FindMyPast.com, I finally found my answer. Devizes and Wiltshire Gazette, September 12, 1889. There were the key words—Fairwood Farm, inquest, and Dilton Marsh. If I had checked a map, I would have seen there were only 3 miles between Dilton Marsh and Berkley, where my ancestor was living in 1881. I am now reasonably confident that the death certificate I am holding is the right one. I assume that John Mason took on extra employment or even stopped working as a coal dealer after 1881. Sometimes it takes a while, but sooner or later the pieces come together, even if your ancestor plays hide and seek in the records.